Historically speaking, Pampanga is one of the most affected cities during the eruption of Mount Pinatubo. Decades have gone by but there are still ashes that remain to be irremovable. Instead of taking it as a bad remembrance from the past, locals chose to make it a tourist spot and one example is the newly-discovered Puning Hot Spring and Restaurant. It has three stations that offers different services perfect for travelers who want to chase adventure and relaxation at the same time. Station 1 serves as the base camp. It is where a 4×4 ride for tourists can be found, taking them through the mountains, rivers and lahar fields. Upon reaching station 2, there’s a unique spa that buries guests underneath volcanic sand. It is heated by four charcoal furnace, so prepare to release sweat. Guests who wish to dwell in utter relaxation can head to station 3. Eleven thermal water pools which comes from Mt. Pinatubo await and its dissolved minerals are known to give therapeutic effects. 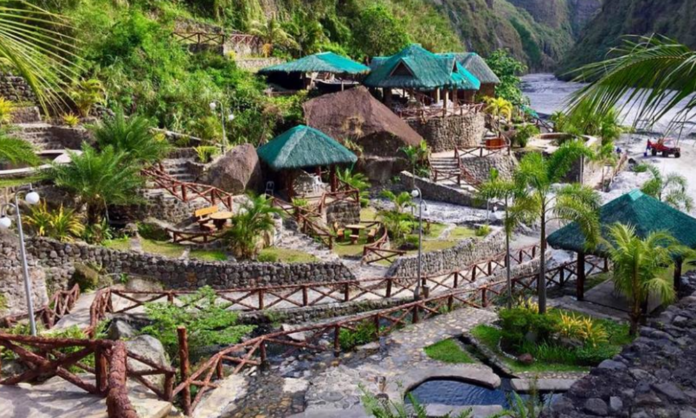 Puning Hot Spring resort is just so good that if offers a complete package for every family getaway.